Carol Reed, The Third Man (1949), screenplay by Graham Greene. 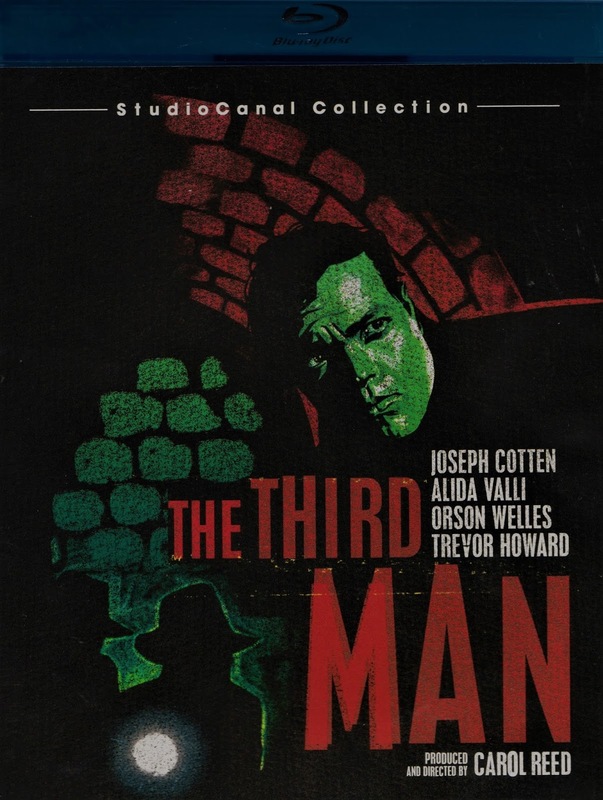 Starring Joseph Cotton, Alida Valli, Orson Welles and Trevor Howard. Set in Vienna in the wake of the Second World War, The Third Man plays more like a dark comedy than the tragedy of Roberto Rossellini's Germany Year Zero (1948). Though both films deal with underground markets and are populated with several seedy, even grotesque characters, Carol Reed's take -- and Graham Greene's -- is more detached and removed from his subjects, less empathetic than Rossellini's. Yet both are fascinating. 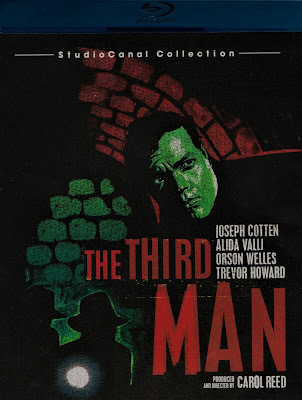 The Third Man underscores the evil that men do because they can. 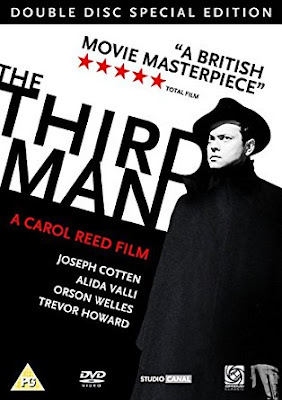 In his own way, Harry Lime (played by Orson Welles) is as ruthless, callous and brutal in worldview as the overthrown Nazis, even while Vienna is under occupation by four of the "winning" powers (Russian, American, French and British). In the face of this, what can his writer friend Holly Martins (played by Joseph Cotton) do but have another drink and contemplate another Western novel?